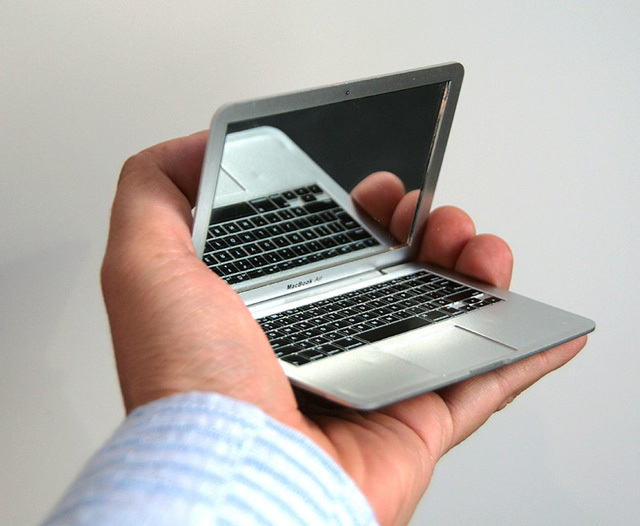 The MirrorBook Air is a compact mirror designed to look like a tiny Apple MacBook Air laptop. Here is a little gadget that will appeal to fans of Cupertino. 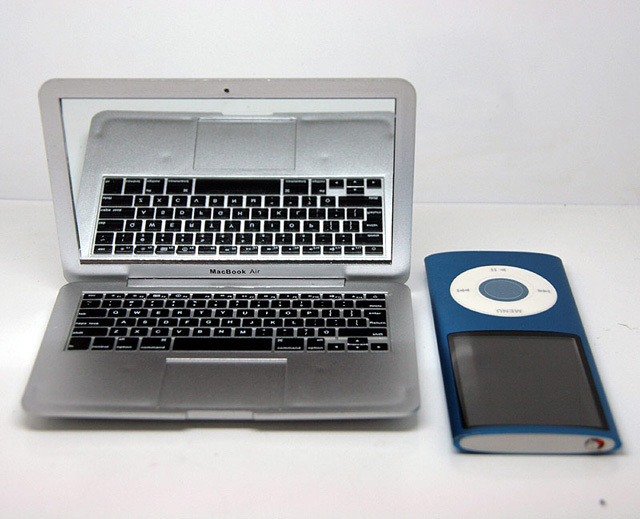 The MirrorBook Air is a small pocket mirror design which incorporates the famous MacBook Air from Apple. Practical, beautiful and incredibly fun!